For a listing of all Langlade County 4-H Clubs and their meeting times, please click the link below. For contact information for any of these 4-H clubs, please call the Extension Office at 715-627-6236 and we will be happy to give you the phone numbers or addresses of the leader(s) of the clubs you are interested in learning more about. First choose a club! Make sure you contact the club leader to hear more about the club. Second take a look through our 4-H projects, see what you can take depending on your age & grade. Lastly logon to www.4honline.com to enroll! If you have any questions please call the 4-H office. Click on the link below to see current and past issues of Forecast. Get new members! Announce your meeting, and invite friends to join 4-H. Post your meeting date, time, and place on the Community Calendar. Click on the link above, and then click “Submit an Event” to post your club’s information. Due May 1, late entries will not be accepted. 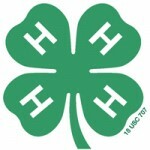 4-H National Web Portal: http://www.4-h.org is your one-stop shop for 4-H Web sites. Ambassador selection for 2019-2020 4-H year will start in September 2019.